There are 43,000 swimming pools in Los Angeles, and not all of those are in great shape. If your pool is ready for an update, Pacific Green Homes can handle all of your pool remodeling needs in Los Angeles. We will work with you from start to finish to leave you with a pool you love, on a budget that works for you. Contact us today to begin discussing your pool remodel, and take a look at the steps below for an idea of how the process will go. Before any work begins, we will sit with you to understand your budget and designs, and will come up with a remodel that you are completely happy with. Once we have come up with a plan that everyone agrees on, we will then apply for the required permits through the city of Los Angeles. Before we can get any work started, we must completely drain your pool so the team has full access to the area. This could take up to a full day or more, depending on the size of your pool and how much water is in it. Whether your pool has a vinyl liner or old tiles, they will need to be fully removed to make way for the remodel. As soon as we have drained your pool, we can begin stripping the existing tiles or other finish. This can be a noisy process depending on the material we are removing, but can be done within a day. If you want to upgrade your old decking, we will need to remove the existing decking or concrete beforehand. Depending on the current layout, this could be very simple or could be somewhat time-consuming. Once all of the pieces of your pool that you wish to remodel have been removed, we will begin executing on your new plan. This could be a gunite liner, tiles, or anything else you have decided on. In addition to the finish, this will be when we add underwater lighting or other features. If you’ve opted to redesign your deck area, we will work on this while your pool finish is being installed. Whether you have decided on a simple concrete deck, a luxurious grotto, or anything in between, Pacific Green Homes will design and build your perfect pool remodel in Los Angeles. Once your pool has been rebuilt, we will begin to add water. This will take anywhere between 1-3 days depending on the size of your pool. After the water has been added, you will need to give it an initial chemical treatment that will create the perfect pH balance for your pool. Once your treatment has been completed, the only thing left to do is to enjoy your remodeled pool! If you have opted to install a new hot tub, high-powered jets, accent lighting, or anything else to realize your dream pool, we are happy to discuss your options and create a pool that will be the centerpiece of your backyard. We will work with you to install all of the safety features you want, as well as waterfalls, fountains, or anything else you want. 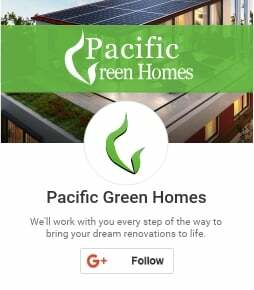 If you are ready to upgrade your existing swimming pool in Los Angeles with a new remodel, Pacific Green Homes is ready to help. We will be happy to discuss potential designs, consider your budget, and determine the best course of action for you to have your new pool as soon as possible. Remodeling your pool will add value to your home, and can help you create a space that you, your friends, and family will want to spend the entire summer around.